Spray or line an 8×8 baking pan. Set aside. 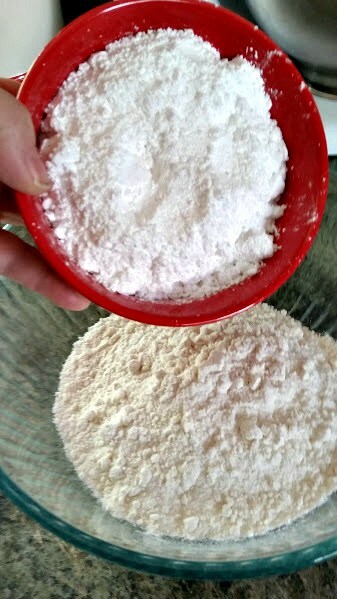 Mix your cake mix and powdered sugar in a medium mixing bowl. 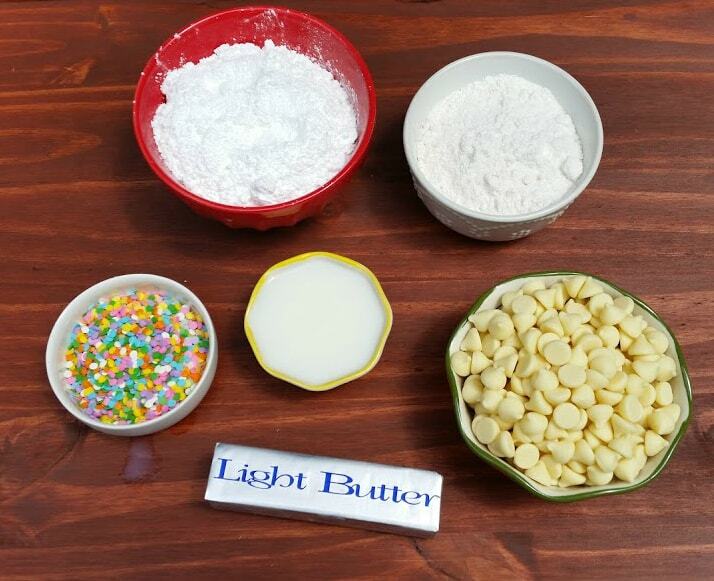 Add your cream and butter and microwave for 90 seconds, or until butter is completely melted. 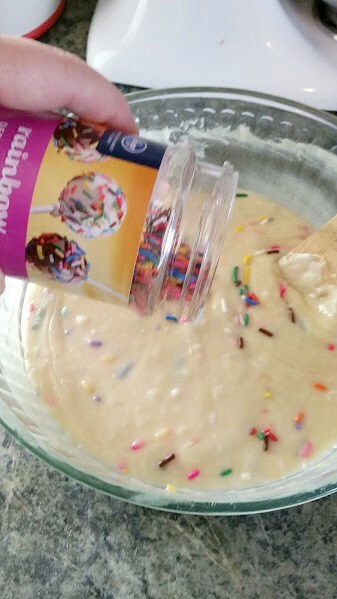 Add in your chips and ½ of your sprinkles. Mix gently. 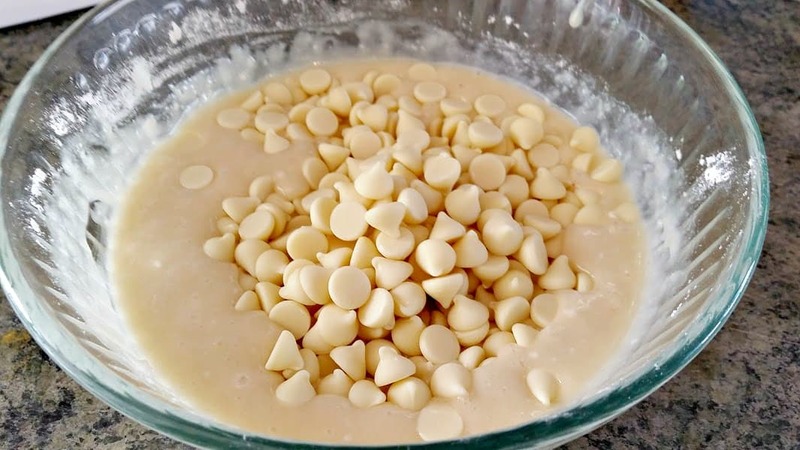 Pour mixture into your baking pan. Top with remaining sprinkles. Refrigerate for 2-3 hours or until very firm. 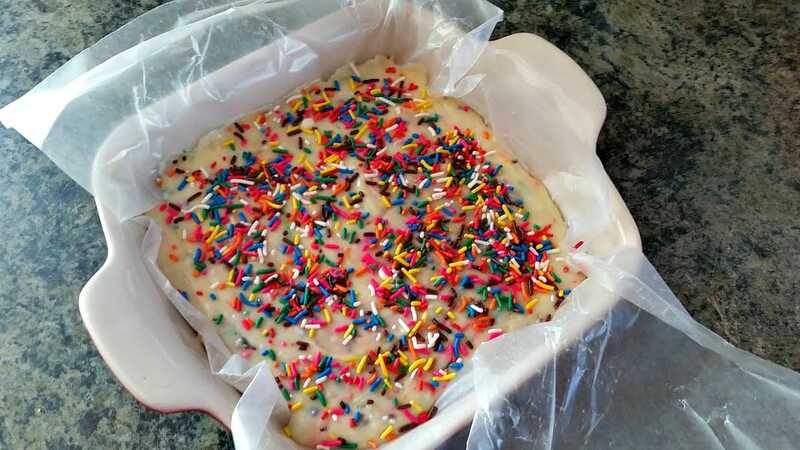 Remove from baking pan and cut into squares. Keep refrigerated until ready to serve. This would be super fun for a birthday party. Sprinkles makes everything better! This looks so delicious and I really love the bright details! The recipe is also very easy to follow! I'm going to try this for our annual July 4th party replacing the sprinkles for red, white and blue ones! Thank you for sharing, and you made it look super easy! Yes what a good idea love it !!!! So fun! My youngest goes NUTS for anything with sprinkles. Oooh rainbows and thousands! This reminds me of Birthday cake but I bet it tastes a lot better! I need to make this for my kids. They would absolutely love this! 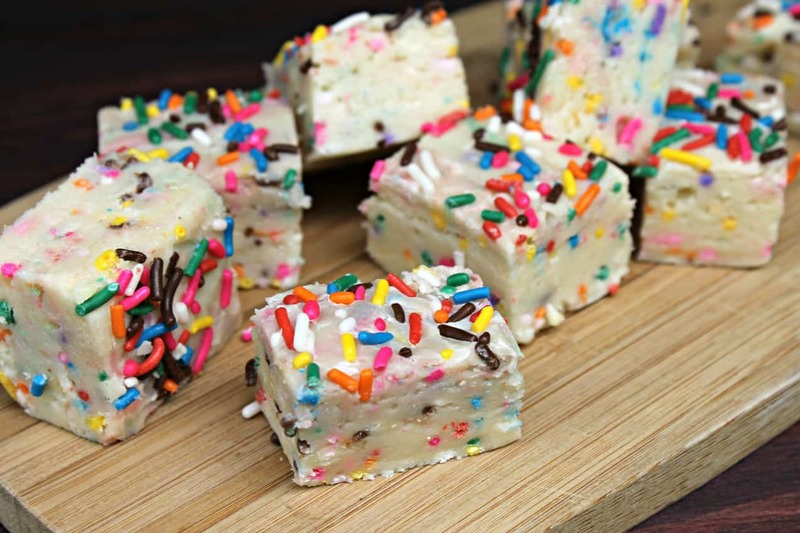 I don't think I ever seen fudge look so bright and colorful. I really like this as a twist on the usual. That looks super festive! I bet it tastes good too. That would be great for a kid's birthday party! This would be my 'it not even my birthday' treat. I love it and so pretty and fun it would feel like my birthday! This looks so good! I love the bright sprinkles. I am pinning this for later! 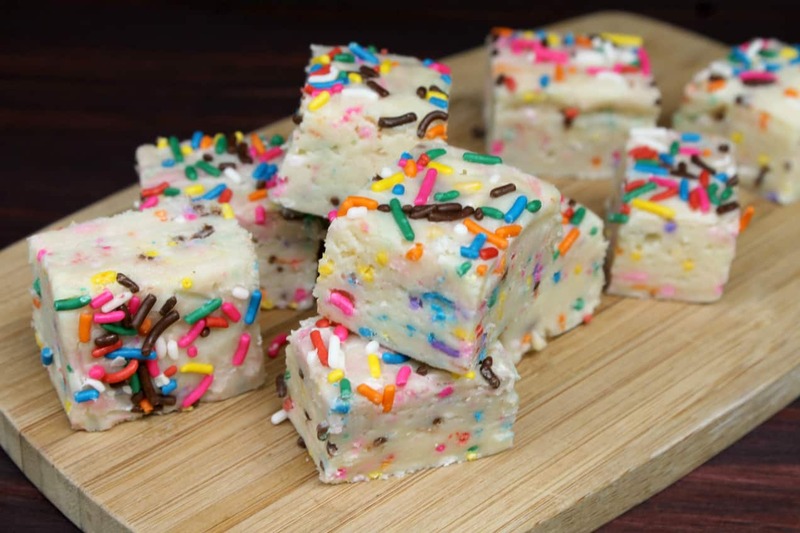 I love fudge and I know my girls will love the sprinkles. You seriously have the most amazing posts girl! These would be great for any party. My kids would eat them all up in no time flat. You had me at Funfetti! 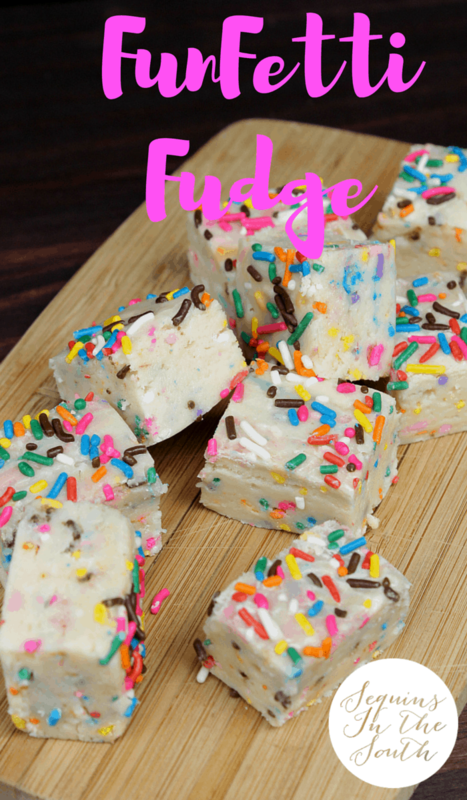 This looks like SUCH a fun fudge to make, I bet my kiddos would just love it! Looks like this is really good! 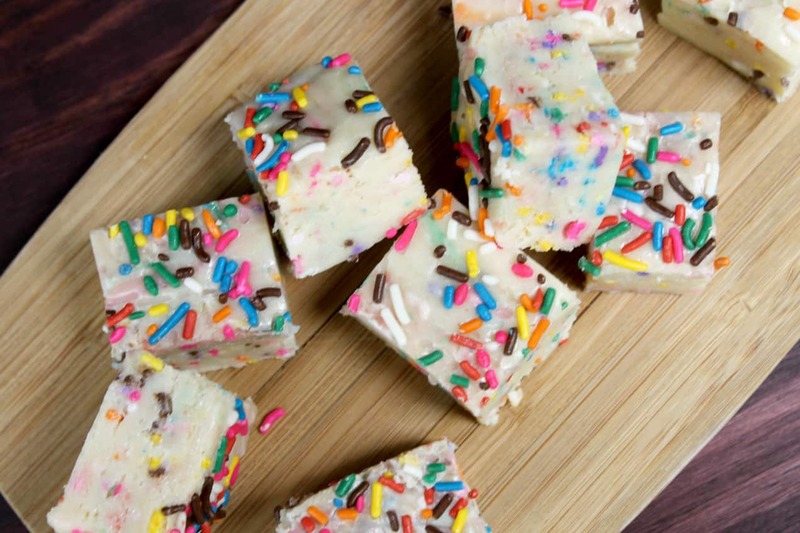 I love funfetti anything -- it's always more colorful and fun, perfect for any event! That's the prettiest fudge I've ever seen. It looks very rich. My daughter is the fun fetti fan in our house. My nephew goes crazy over sprinkles. I think this would be a fun recipe for us to make together. This looks like such a fun treat. 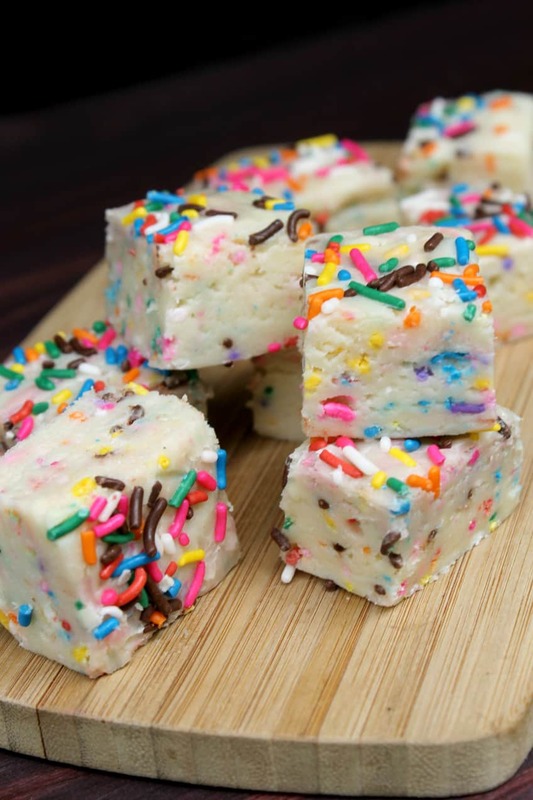 I love desserts with sprinkles and these look so good that I don't think they would last very long around my children. Oh man! This looks so rich & yummy, not to mention fun with all of the sprinkles. I definitely need to try to make some. Looks so yummy, I love anything with funfetti.